A man holds on to the border wall along the beach, Tuesday, Jan. 8, 2019, in Tijuana, Mexico. The migrant caravan that was seized upon by U.S. President Donald Trump in the run-up to the 2018 midterm election has quietly dwindled, with many having gone home to Central America or put down roots in Mexico. "It's a loss of time, a loss of time that you can never recover," Lopez said. "If Mexico deports me today, I will be in Mexico again tomorrow," Diaz said Monday amid sporadic rain at the shelter. "If I can go to the United States, better." 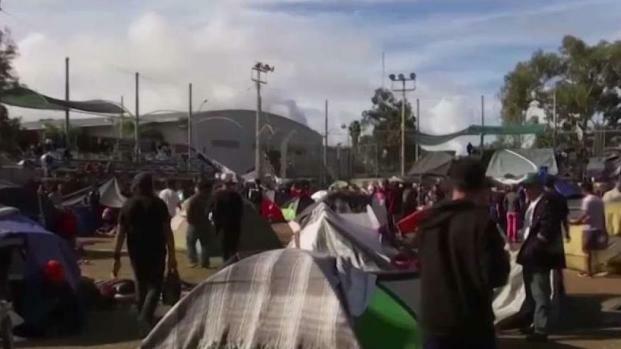 The diminished presence of the migrants in Tijuana came as hundreds of Hondurans left the violent city of San Pedro Sula this week in a new caravan hoping to reach the United States or Mexico. That group crossed peacefully into Guatemala on Tuesday, under the watchful eyes of about 200 Guatemalan police and soldiers. About 500 Honduran migrants, including dozens of children, lined up to show their documents to a first line of unarmed security personnel at the Agua Caliente border crossing. Riot police waited in a second line to contain any possible disturbance. 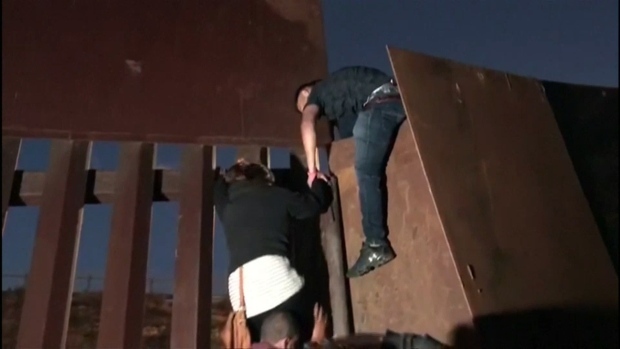 News of this latest trek north came as Trump has been working to convince the American public that there is a "crisis" at the southern border to justify construction of his long-promised border wall. Trump's demand for billions of dollars to build the wall has resulted in a standoff with Congress that has forced a partial government shutdown. "A big new Caravan is heading up to our Southern Border from Honduras. Tell Nancy and Chuck that a drone flying around will not stop them. Only a Wall will work," Trump tweeted Tuesday, referring to Democratic House Speaker Nancy Pelosi and Senate Minority leader Chuck Schumer. Caravans have taken place over the years though on a smaller scale, organized to draw attention to migrants' rights and usually not reaching the border. The ones that formed last year gained attention for their larger numbers and after Trump began seizing on them for political purposes. In the lead-up to last fall's elections, Trump frequently referenced the caravans, warning that they posed a national security risk and deploying active-duty troops to the border in anticipation of their arrival. Opponents criticized the move as an abuse of presidential power. More followed Tuesday morning trying to catch up. Some pushed toddlers in strollers or walked holding older children's hands. Honduran media said the country's authorities had reinforced the border with Guatemala to make sure everyone had proper documents. Children must carry passports and written parental authorization to leave the country, and parents could face up to three years in prison if found to be taking a child without the right documents, Security Minister Julian Pacheco was quoted as saying. 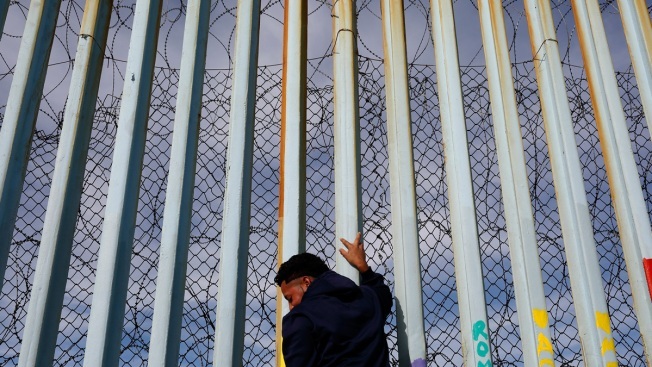 Migrants fleeing Central America's Northern Triangle region comprising Honduras, El Salvador and Guatemala routinely cite poverty and rampant gang violence as their motivation for leaving. "People leave every day," he said. "Every day 300, 400 people go. 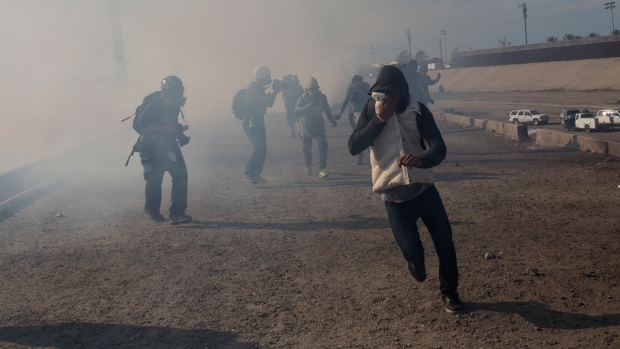 The caravan has been like a constant river of people to Mexico, to the United States." To others embarking on the journey, his advice was to "keep the faith and don't lose heart." Cubas said he could tell others that the trip isn't worth it, because it hasn't turned out well for him, but they would come anyway. "We don't all have the same luck," he said. "It's gone badly for me, but I met others along the way who are already (in the U.S.) and had better luck." Associated Press writers Christopher Sherman, Maria Verza and Jill Colvin contributed to this report.